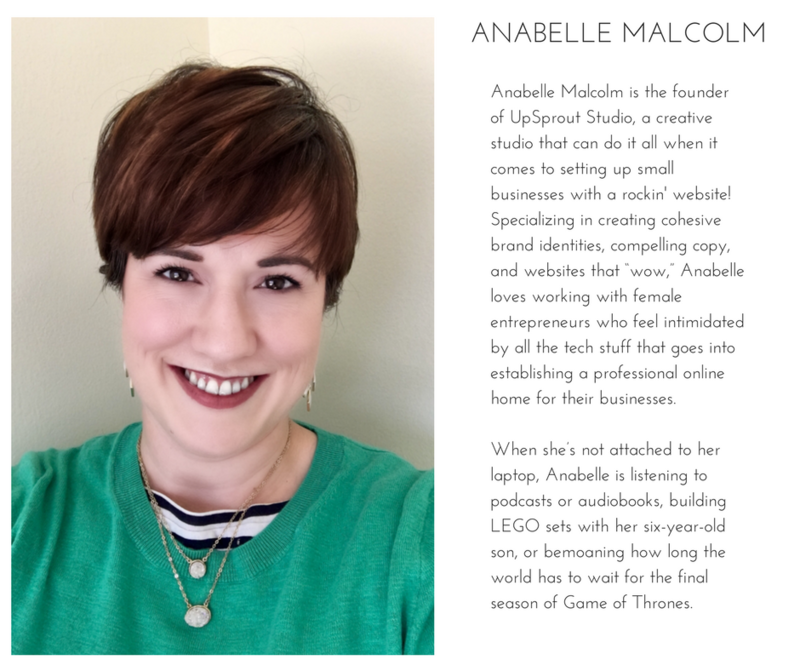 I am pleased to have Anabelle Malcolm from UpSprout Studio back with us for another guest blog post. 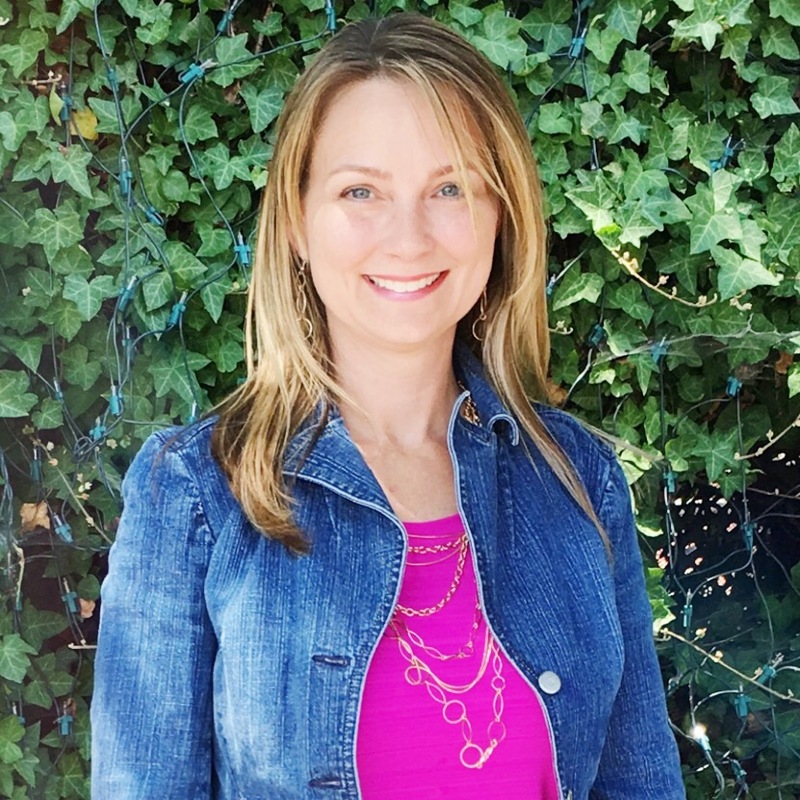 Today she is here to help us break the writing rules for better online copy. 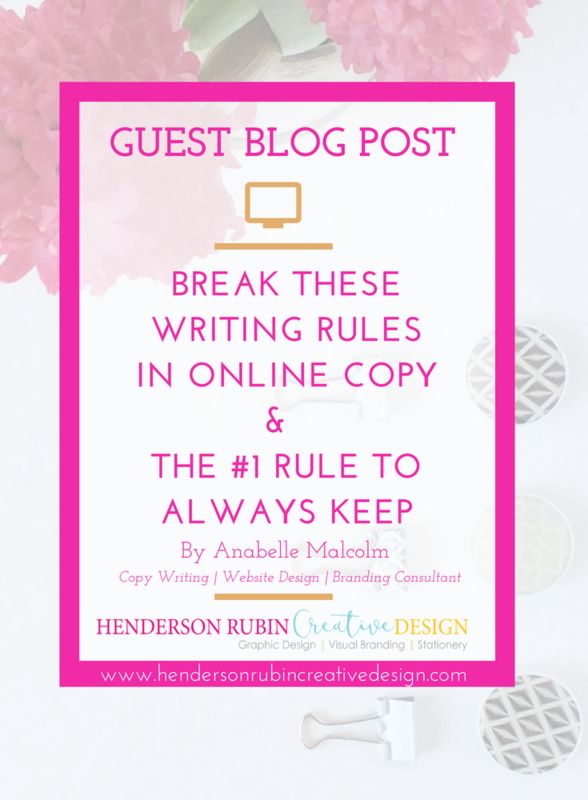 When I first introduced Anabelle to you HERE she helped us improve our site copy today she is going to talk about the #1 RULE to always keep and how to break those writing rules we learned in school. Let’s Break the Writing Rules! Guess what? We speak in sentence fragments. We use slang. We start sentences with “and” and “but” and “or.” We end sentences with prepositions when that’s what sounds most natural. Our spoken language actually bears little resemblance to our written language. And for the purposes of online writing, we want to sound conversational, not formal. So . . . write how you speak. That can be harder than it sounds, because academic writing conventions were drilled into our heads until they became second nature. So how do you abandon those writing conventions when it comes to writing for your website or social media accounts? Here’s a great tip to see if your writing sounds “natural”: Read what you wrote out loud. Does it sound natural? If it does, great! You got it! But if you find places where you stumble over your words or if certain parts just sound a bit off, go back and rework those phrases/sections until they sound as smooth as the rest. Here’s one more rule that needs to be tossed: Paragraphs should be around five sentences long. See, the thing is, people read screens far differently than they read print material. Online, they skim – and that means they will probably skip over long blocks of text. Break up your paragraphs to interrupt this tendency to skim. It’ll be much more likely that your readers will absorb your message if you split your paragraphs into smaller chunks. Above all else, be clear. The fundamental purpose of writing ANYTHING is to express ideas, and ideas can only be expressed well if they’re presented clearly. People should know exactly what you’re writing about. They should be able to follow your train of thought and understand what you’re saying. Don’t make things harder for your readers by being confusing or lazy. They don’t have to read what you’ve written – they can (and will) just move on to the next business, and once you’ve lost those readers, they aren’t coming back. Ultimately, you have to ask yourself: What is the purpose of whatever I’m writing? And then ask yourself: Who will be reading it? The answers to those two questions should drive your writing. And even when you’re writing for online use, whether in your website copy or in a blog or in some other format, you’re still writing to communicate your ideas to your readers. And how do you best communicate ideas to your readers? By writing clearly, in the same way you’d speak. Try it – and let me know how it goes. Thank you, Anabelle, for helping us break the WRITING RULES responsible. 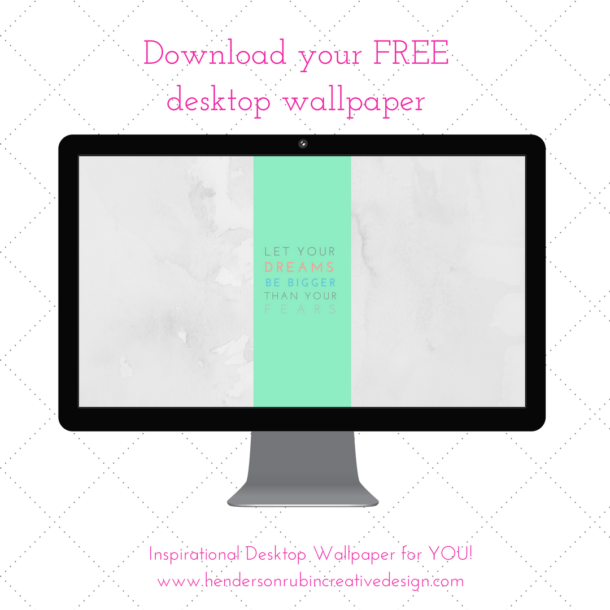 Grab her FREE CHEAT SHEET Breaking The Writing Rules. Don’t forget to Pick up her FREE online writing cheat sheet before you go! 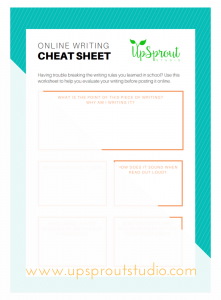 Get Your FREE Online Writing Cheat Sheet!